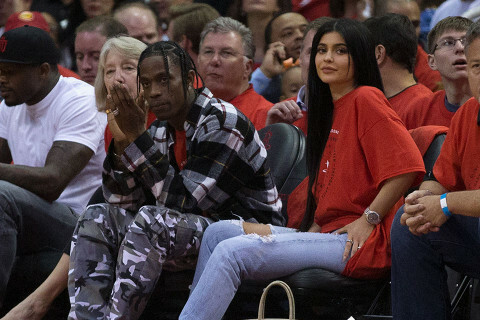 Rapper Travis Scott's relationship with girlfriend Kylie Jenner on good term again. 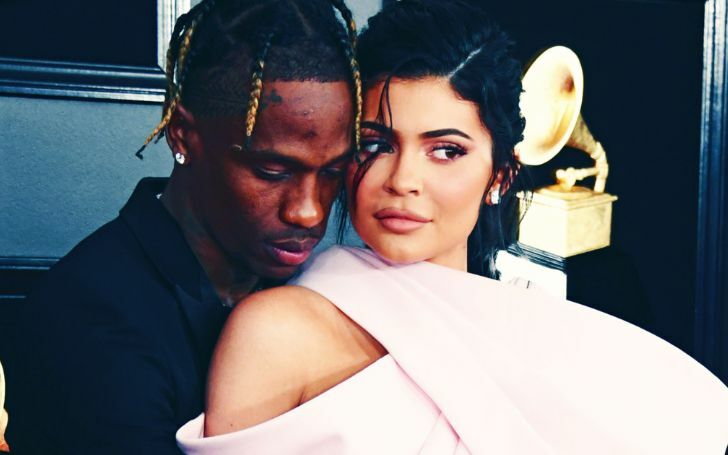 It appears that Travis Scott finally settles the dispute with his baby momma Kylie Jenner after several reports of him cheating on Jenner surfaced last month. Only last month, Travis and his girlfriend of two years reportedly got into a huge argument which led the rapper into the cancellation of one of his concerts in New York. The reason for the fight? Well, the youngest self-made billionaire accused Travis of infidelity after she found evidence of him sliding into several girls DM on Instagram. As a matter of fact, it's claimed the fight started after the 27 years old rapper arrived at their LA family home to surprise Kylie and their baby daughter; Stormi Webster, but, clearly, things didn't go according to his plan. The "SICKO MODE" singer's rep on the other hand totally denied the allegations at the time claiming the rapper would never do such thing to the mother of his child. However, things got a bit suspicious when Travis decided to delete his Instagram, and that too shortly after the news hit the internet. And of course, neither of the party who keeps their personal matter away from the public decided to address on the cheating rumor. As a matter of fact, the two weren't even spotted publicly together at any social events nor on any pictures on their social media since then. Fast forward today, it looks like Travis has won Kylie's heart once again and that things are actually going fine between the two lovebirds. 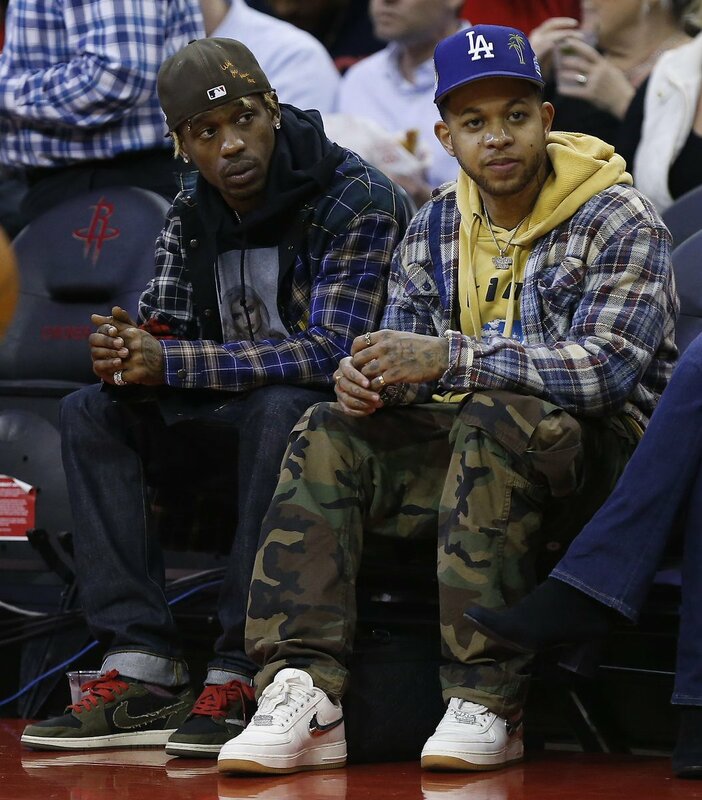 Just a couple of days ago, we found Travis proudly wearing a hoodie printed with Kylie's face on it on the front, making it obvious the rapper is still all about his wifey. Travis Scott wears a hoodie with Kylie's face on it. Wait, that's not just it, there's more. What we're saying is that the rapper who is now back on the photo-sharing app is also showing his public affection to his girlfriend on social media. In Jenner's recent Instagram where she can be seen flaunting her white transparent long sleeve short dress that flashes her neon green lingerie, the 21 years old boyfriend couldn't help but comment on the post with a full heart eye emoji. Travis Scott comments a heart eyes emoji on Jenner's picture. So, it is. As reported, the couple does not want to give up on their relationship yet. In addition, Kylie shared the recent pictures shortly after fans of the reality star claims that she might be pregnant with baby number two following their superstitious beliefs on what they witnessed on the video of the star and her daughter.